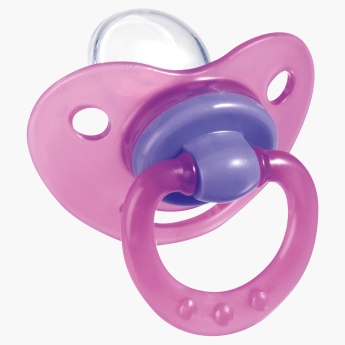 Soothe your baby’s sore gums gently with this soother. This orthodontically shaped soother glows in the dark and has a ring at the back that provides easy insertion and removal. Feature 3 : Glow in Dark.